One of my favorite images from the Cobie Smulders shoot with Oceana. We encountered this Aurelia jellyfish, also known as the moon jellyfish just outside the mangroves. I asked Cobie to dive underneath the jelly into the light that was illuminating the bottom. 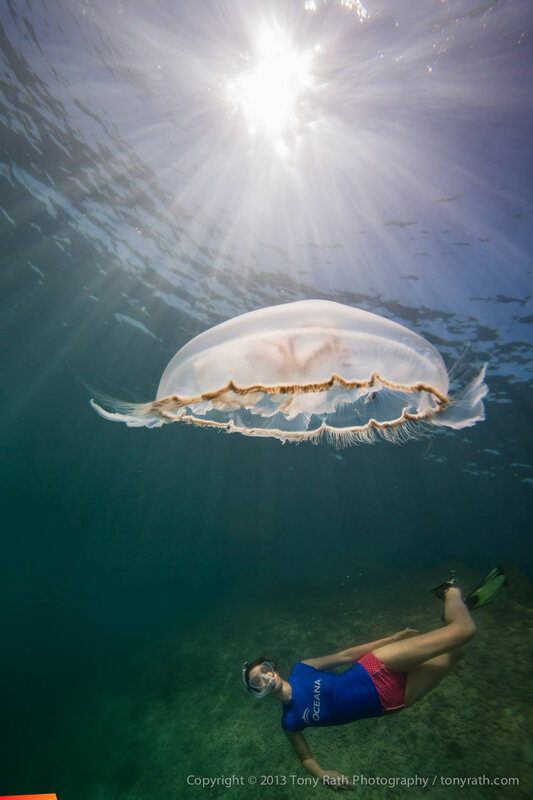 Using flash, I exposed for the jellyfish and underexposed the sun and Cobie. Using a small f/stop, I had a wide depth of field, everything in focus except for the closest parts of the jellyfish.